As you might expect, the wine trade considers its product the ultimate asset. Industry insiders have argued that wine generates above-average returns, helps to diversify an investor’s portfolio (thus lowering its risk) and – if all fails – the owner can still drink it. Zachy’s, a major New York wine retailer and wine auction house, for example, claims that auction prices of top Bordeaux wines have increased 25 per cent to 50 per cent annually in the past few years. And back in 1998, Peter Meltzer of the Wine Spectator, the world’s largest wine magazine, wrote that the wine market outpaced the Dow Jones Industrial Average throughout the 1990s. 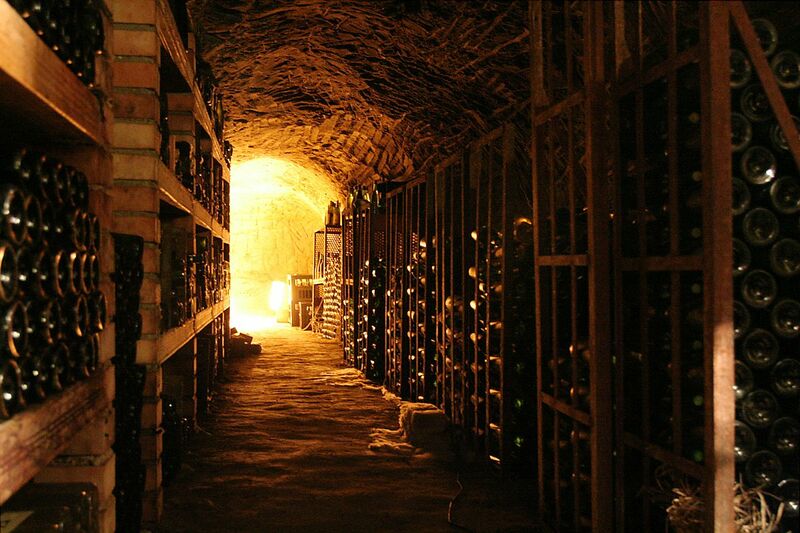 A would-be investor should know that the majority of wines are not “investment-grade” – a financial term signifying relatively low risk – and will not benefit from being stored for more than two or three years. Experienced wine investors concentrate on only the finest growths from Bordeaux and Burgundy and selected wines from California. Even among fine wines, the data on investing aren’t favorable. One of the first economic analyses that looked at the rate of return for storing wine over a period of time was conducted in the late 1970s by William Krasker. Drawing on 137 observations of red Bordeaux and California Cabernet Sauvignon from 1973 to 1977, he found that the return for holding such wine was not much better than that of risk-free US Treasury bills – which typically offer the lowest yields in the market. 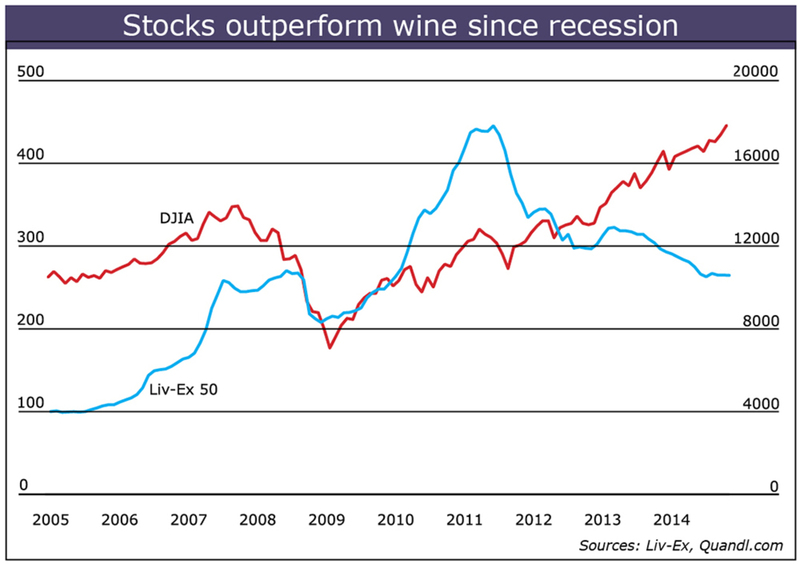 To explain some of that difference it’s worth noting that stocks often yield dividends, while wine only offers capital appreciation. In addition, investing in wine incurs storage and other costs. Elizabeth Jaeger of the University of Virginia, appeared to counter that poor performance with her own study, published in 1981. She reported that a wine portfolio similar to Krasker’s outperformed Treasury bills by 16.6 per cent. This large difference, however, mainly comes down to sampling different periods of time (1969-1977 in Jaeger’s study) and her use of substantially lower annual storage costs than Krasker’s $16.60 a case. In a seminal study that focused on a single year, Princeton economist Orley Ashenfelter developed the “Bordeaux equation,” which enabled him to predict the quality of a wine vintage based on winter rainfall and growing-season temperatures in the famous French wine region of that name. He found that the real return on holding a range of Bordeaux wines in 1991 was 2.4 per cent , a pittance compared with a 30 per cent gain in the Dow Jones Industrial Average. A similar study by Gregory Jones and me in 2001 on Bordeaux wines for specific chateaux were significantly below those for common stock. Another study from that year, this one by Benjamin Burton and Joyce Jacobsen, analyzed the semi-annual returns from storing Bordeaux wines from 1986 to 1996, focusing on repeat sales of the same wine and comparing them with various financial assets. They discovered that a portfolio of first growths – a designation considered among the best – returned 6.8 per cent over the period, barely better than the 5.8 per cent gain on Treasury bills but about half that of the Dow Jones benchmark index. Even a portfolio of William Sokolin’s first investment-grade wines didn’t do much better, returning an average of 9.4 per cent at auction. And that’s before including sales commissions, insurance and storage costs, which would make them even worse. Not only does wine generally perform worse than equities, it’s also riskier. The standard deviation – a measure of variation when analyzing a variety of data points – of a wine portfolio consisting of grand cru selections is more than twice as high as that of the Dow Jones Industrial Average. Portfolios focused on first growths or the 1961 vintage exhibit an even larger degree of variability between the highs and the lows. While wine may not be a great investment on its own, it can work as a sort of hedge, or way to diversify a portfolio of assets and provide some protection during market downturns. Researchers analyzed Bordeaux auction prices before the financial crisis hit in 2008 and found that the changes in the two assets, wine and equities, bore little or no correlation to one another and moved independently, suggesting wine would be a good way to hedge or offset stock market risks. In fact, Philippe Masset and Jean-Philippe Weisskopf of the Ecole hôtelière de Lausanne studied the profitability of wine investments during the financial crisis, finding that adding them to a portfolio boosted returns – as well as risk. The study didn’t clarify whether this recent positive outlook on wine is a permanent phenomenon or was merely due to a bubble in prices, as suggested by NYU economist Boyan Jovanovic. The latter explanation, though, has proven to be more accurate. Since June 2011, the Dow Jones Industrial Average has jumped more than 50 per cent , while fine wine prices have slumped more than 40 per cent, according to the London International Vintners Exchange Fine Wine 50 Index. So this New Year’s might be a good time to dust off that Bordeaux you’ve been holding onto and enjoy it with your loved ones. Don’t buy another one in order to make money on it.